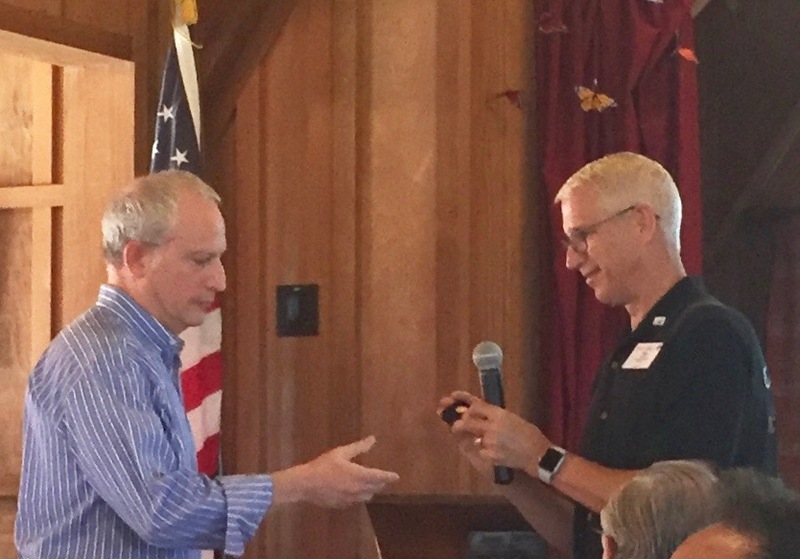 Congratulations to Dan Smargon on receiving his sixth Paul Harris Fellow recognition- he received a Paul Harris pin with a ruby for his contributions to Rotary International. We also congratulate Matt Kurth on receiving his second Paul Harris Fellow recognition. 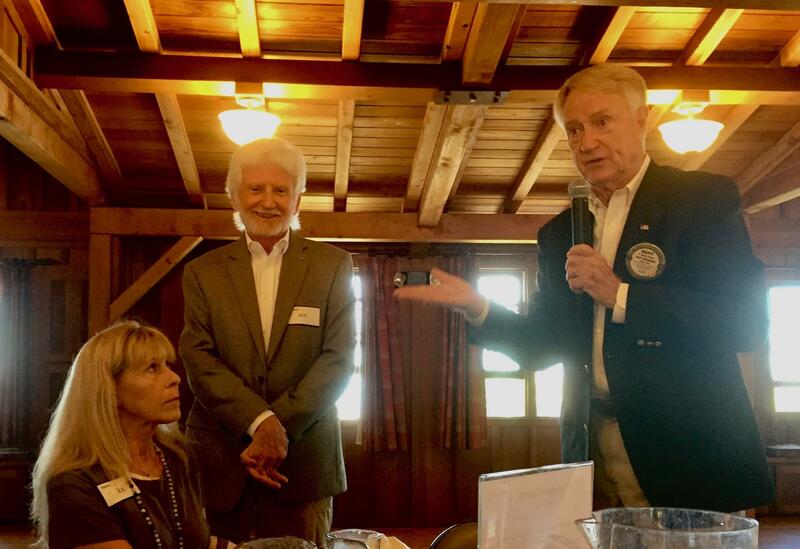 Rotarians can also recognize individuals as Paul Harris Fellows, which is what Marty Peters did on behalf of Jack Lyon, founder of Veterans Village of San Diego.